Blood cell count, Blood chemistry, Urinalysis, Heartworm detection, etc., help prolong your pet's quality of life. We are equipped with sophisticated instruments that allow us to measure many laboratory values. 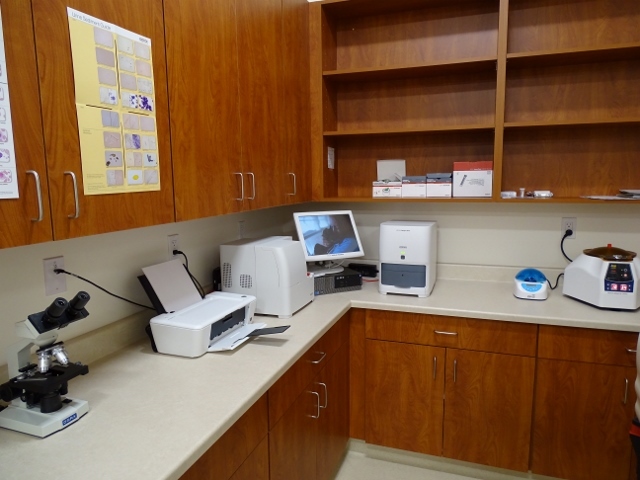 As a compliment to our regular laboratory services, our in-house diagnostic capabilities allow us to get results pre-surgically, or in an emergency, within minutes.